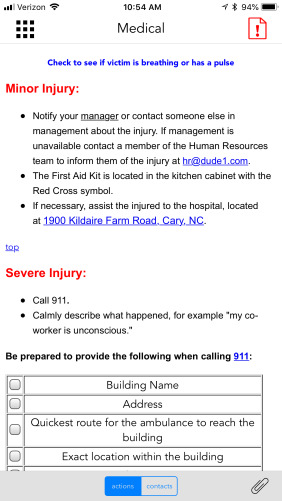 Some events within a plan you have downloaded may include the ability to submit a report, often to identify an incident that has occurred. If an event has a report form built in, it will show a red icon in the top right of the screen. Click on that icon to open the form. The form will vary depending on what the administrator has included. 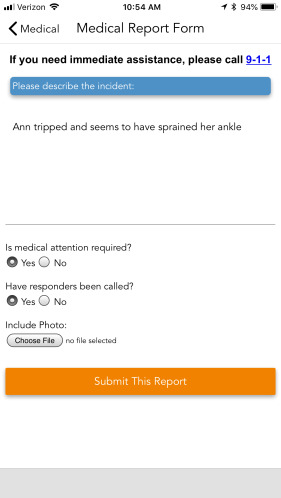 Fill out the form to the best of your ability, then click Submit This Report. The report will be sent to the plan administrators. 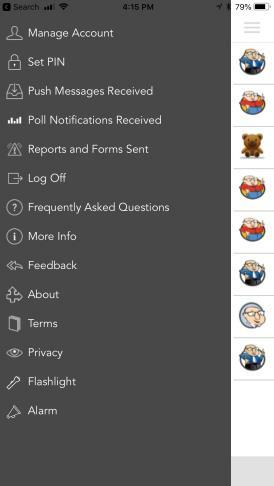 After submitting the report, you can view it by navigating to the app menu and selecting Reports and Forms Sent. The reports will be labeled by the plan name and the event name the report is attached to. Tap on the report you want to view.